If we hope to take effective action on climate change in today’s resource-constrained world, above all we must work with human factors to draw out creativity and participation so that citizens can be a full part of their communities’ responses. Placemaking in a Changing Climate is a learning framework, linking climate mitigation and adaptation by exploring how to create livable, vibrant, beautiful communities that are low-carbon and designed for resilience. Adaptable for professionals–or for citizens and political decision makers–the curriculum qualifies for continuing education units for architects, planners, and landscape architects. 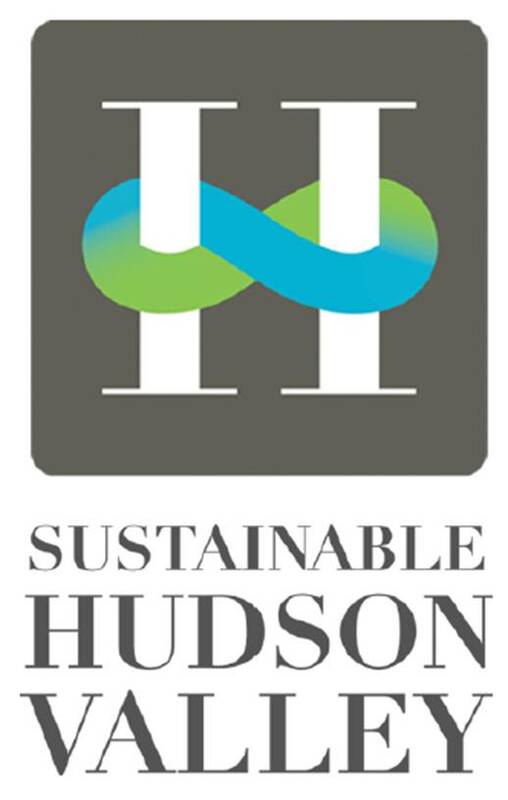 Created by Sustainable Hudson Valley and the Project for Public Spaces (PPS), this program was rolled out in the Mid-Hudson Valley in 2012 with financial support from Clean Air-Cool Planet‘s Community Catalyst Fund. A diverse group gathered September 10, 2012 on the shores of the Hudson River at Norrie Point Environmental Center with presenters Phil Myrick, AICP (PPS), Denisha Williams, ASLA (American Society of Landscape Architects) and Melissa Everett, Ph.D. (Sustainable Hudson Valley). The day covered principles such as designing streets for mixed use as places in their own right; cooling strategies using green infrastructure; and lighter, quicker, cheaper “pop-up” tactics for community design. Representing specific properties from the Roosevelt Estate to the Woodstock Library, as well as watershed associations, landscape architecture firms and local governments, participants brought their own case materials on challenges such as preserving a forest around the public works complex of a sprawling town, educating citizen leaders in the regional Transition Towns network, dealing with civic apathy in floodplain development, and making local solar installations more attractive by integrating them with public art. CA-CP’s support also allowed us to establish a spring 2013 training session at the State University of New York (SUNY Ulster, April 6) and create marketing materials for additional outreach. Placemaking in a Changing Climate is now available as an introductory workshop, in-depth training and customized local problem-solving workshop throughout the Northeast. As we look ahead to 2013, we’ve got exciting plans and prospects in the works here at Clean Air-Cool Planet. For starters, we’ve pared down our programmatic priorities to focus on our thriving national campus climate solutions efforts and our climate impacts and adaptation work. We’ll remember 2012 as the year that Superstorm Irene showed us all how close to home the effects of climate change can be and just how unprepared most communities in the U.S. are for such impacts. Our projects with the New Hampshire Coastal Adaptation Working Group (NHCAW) and with the City of Bridgeport are helping to develop approaches to increase resilience at the local level— approaches that we think can provide models for communities throughout the Northeast and across the nation. Also in 2012 we completed a comprehensive assessment of the lessons learned from ten of our biggest community-based programs undertaken over the last six years. We were able to document real and lasting impacts from Clean Air-Cool Planet’s involvement in more than 150 communities, and draw substantive conclusions that can help community leaders, non-profits like ours, and funders alike sharpen and strengthen their approaches to climate action. One of the biggest lessons learned for us was the importance of going deep and staying involved over the long term—a lesson we will apply in 2013 in the communities of the Piscataqua watershed of New Hampshire and in Connecticut’s coastal Fairfield County. Last year our campus sustainability program went from strength to strength. A major milestone was reached in October when we launched a new online version of our Campus Carbon Calculator™ in beta. On January 21st, the Campus Carbon Calculator will go live for every campus in the country. More than 90% of the college and university campuses that publicly report their greenhouse gas emissions do so using our Calculator. In 2013 we’ll be expanding the capabilities of this tool and adding new modules that will help accelerate the revolution in campus sustainability. There was sad news too in 2012. In early September we heard that one of the co-founders of Clean Air-Cool Planet, Ted Smith, had lost his life in a tragic hiking accident in his beloved Montana. Ted was instrumental in creating the vision for Clean Air-Cool Planet and in helping to steer us through our first decade and he was a true climate and conservation leader, to whom many activists, including myself, owe much for the mentoring and sage advice he gave them. Clean Air-Cool Planet is honoring Ted Smith’s memory through the creation of the Ted Smith Fund for the Next Generation of Environmental Leaders.Our goal is to raise $500,000 for the Ted Smith Fund to enable us to double the number of CA-CP Summer Climate Fellows we can support during the next five years. Our Climate Fellows program has become one of our biggest successes, with nearly 50 Fellows undertaking challenging and impactful projects during its first five years. To all of our friends and supporters, I’d like to extend our warm wishes for a very happy 2013. Please be on the lookout over the next several weeks for more updates, as well as a redesigned website that we hope will showcase our successes and highlight our most popular resources. Good Profit, the non-profit organization dedicated to public projects in architecture and design, public health and agriculture, has won approval from the New Rochelle City Council to move ahead with its plan to renovate the Echo Bay Naval Armory in New Rochelle, New York. The development of the Armory and its site will be designed to promote environmental sustainability. Wherever feasible, renewable energy systems will be utilized for the production of thermal and electric energy. The project will also seek LEED certification. Good Profit brings together ideas, expertise and funding that work together to promote transformational projects in architecture and design, public health, and agriculture. We take the best practices from the non‐profit and private sectors to achieve outstanding results for the common good. State and local governments are strapped for cash. At the same time the private sector is not investing in public works at significant levels. There is a tremendous need to leverage expertise and resources across all sectors of the economy to get major projects accomplished. We can do that. Good Profit brings multiple stakeholders to the table. We listen carefully. We look for the intersection of mutual interests that can bring diverse parties together. Good Profit is fiscally sponsored by the Open Space Institute as part of its Citizen Action Program. The Southern Westchester Energy Action Consortium (SWEAC) utilized the $2,500 grant received from Clean Air-Cool Planet’s Community Catalyst Fund to support a successful organizational development project to chart a new phase in SWEAC’s development. SWEAC began in 2010 as an informal collaboration among Southern Westchester municipalities to accelerate progress towards municipal sustainability. The recent planning process established a pathway to formalize the inter-municipal initiative while maintaining a streamlined approach to administration. SWEAC engaged the services of Penn Flood Consulting for this project and created an organizational development task force that included representation from elected officials, municipal staff and volunteers and the Westchester Community Foundation, a SWEAC funder. The process resulted in a recommendation to involve participating municipalities directly in the ongoing governance of SWEAC while continuing to use the services of a fiscal sponsor. These recommendations will maximize the impact of SWEAC’s efforts and position the consortium for continued success. Looking at America through Wegger Strommen’s eyes is very entertaining. Strommen, the long-time Norwegian Ambassador to Washington, has the outsider’s indelible eye for the extraordinary mosaic that is the United States. He loves the great distances of Nebraska, the crazy football chants in Fayetteville, the way the coast of Maine reminds him of Stavanger and home. Ambassador Strommen has strabismus, which means that one of his eyes wanders. He always tells his audience which is which, so they don’t get confused. He does this as he stands before yet another Chamber of Commerce or Rotary crowd, explaining with great patience and gentleness why Norway, an oil drilling nation, is so committed to reducing its carbon emissions and doing its part to conquer climate change. For the past three years, Clean Air-Cool Planet has been organizing events around the country where the Ambassador, Norwegian experts, and CA-CP senior staff explore some aspect of climate change, and seek the views of municipal leaders and ordinary citizens regarding what should be done about the problem. We have focused on adaptation in Portland, Maine, drought in Albuquerque, New Mexico, and carbon pricing policy here in Oregon. The crowd here in Portland, more than ninety strong, were invited by the Portland World Affairs Council, an outfit that in the past hosted the Dalai Lama and Bono, among others. Daunting company to keep, for sure. And yet they seemed very engaged in the issue, asking questions for over forty minutes at the end of the presentations. A scene from the Norwegian Arctic captured by CA-CP President Adam Markham. As for the program, it was quite straitforward: the Ambassador led off, and explained Norway’s, and his, interest in talking to Americans about climate change. For Norwegians, it’s a backyard issue – it’s their ice that’s melting. After the Ambassador, Harald Lund, the Director of Norway’s emissions trading effort and one of its top climate negotiators, explained Norway’s method of pricing carbon. They do it in a sector-specific way, charging the weathy oil companies more than, for instance aluminum smelters which might face undue foreign competition if the carbon price hit them too hard. Harald was followed by Angus Duncan, long-time senior aide to various Portland Mayors, who gave an account of Oregon’s efforts to price comparison and of how Oregonians got their somewhat unique patchwork approach to carbon regulation. Finally, I finished, discussing the prospect for carbon policy legislation in the 113th Congress. Such a thing is never going to be easy, but it’s at least conceivable, because once a deal is done concerning the so-called short-term fiscal cliff, this Congress come face to face with an even more difficult challenge – that of the U.S.’s long-term structural deficit. If we do nothing, the cumulative national debt will double to $18 billion in 2021, at which point we’ll be paying 3.5% of every year’s budget just in debt payments. A carbon price could bring in $78 billion per year and help us cut the then-year deficit in half. We fielded questions, mostly friendly but all probing and intelligent, for half an hour, and then it was time to leave. People lingered, wanting to meet the Ambassador or just talk a little more about an issue that they sensed was important. Eventually, Ambassador Strommen and Harald Lund and I headed over to the Oregonian, Portland’s very good newspaper, to share thoughts with a member of the editorial board. The day was sunny and cool, with a few white clouds scudding across the sky. The Bedford 2020 Coalition (B2020) was formed in December 2009 to play a leadership role in the Town of Bedford, New York’s efforts to become a sustainable community and reduce its greenhouse gas emissions 20% by 2020. B 2020′s strategy is to work with all members of the community: residents, businesses, schools, houses of worship and civic entities, to accomplish our mission. Engaging the business community in improved energy efficiency and waste/recycling practices is an important part of this strategy. On March 7, 2012, B 2020 hosted a workshop for local small businesses to illustrate: 1) overall green strategies, 2) energy audit, and other energy efficiency steps and 3) improvements in waste/recycling practices. As a follow-up to this workshop, and with the help of a grant from Clean Air-Cool Planet, B 2020 hired an intern to work directly with our Business Task Force on an outreach program to inspire and help local small businesses navigate the process of conducting energy audits, completing upgrades and improving waste/recycling practices. We heard from many of our local small businesses owners that they don’t have the time, personnel or familiarity necessary to research and pursue green strategies. However, the absence of implementation is not necessarily a result of these businesses viewing these types of actions as trivial or unbeneficial. This past summer, our Community Catalyst Fund grantenabled the task force to launch the “Green Business Champions” pilot. The purpose of the pilot is to enlist 6 local small businesses who agree to undergo energy and waste assessments, perform some of the recommended improvements and allow B 2020 to follow, track and promote the process and results of those improvements for the purpose of encouraging other businesses to make improvements in their operations. Pilot businesses receive hand-holding through every step of the process, including assistance with data gathering, filling out applications, accessing financing, rebates and other incentives. The first step in the Pilot was to research existing energy efficiency programs. We quickly learned that there are many energy efficiency incentive programs out there but no “one size fits all”. Please check the Bedford 2020 website (www.bedford2020.org) soon for a summary of available programs, which is currently in development. Free assessments/lighting upgrades are an “easy way in” to engage small businesses in going green. For some businesses this is an entry point and could lead to further green measures. For some, this is the extent of what they can/will do. Free assessment reporting/recommendations varies greatly by supplier. The assessment process is similar for each supplier (i.e. a quick walk-through followed by entering usage data into a software program). However, the reports provided by the utilities can vary from a 2-page report focused on a short list of measures to a 25-page report with recommendations across a wide range of energy improvements. Small businesses are not tracking/measuring the results of their energy efficiency improvements due to lack of time, lack of personnel and confusion on what to data to track. However, businesses are open to providing data for B 2020 to track results. The opportunity for energy efficiency measures beyond lighting upgrades is limited with the small business/tenant segment. They do not have the resources/incentive to make the investment required. We will explore involving the landlord/building owners in our conversations with tenant run businesses about energy improvements. Building-owner businesses that participated in the pilot did express interest in exploring deeper energy upgrades and related cost savings — with B 2020 assistance. However, at this point, we need further learning about commercial building assessments/upgrades conducted via existing energy programs (i.e. NYSERDA Flex Tech). The Energy Task Force is currently working on project with several municipal buildings in the Town of Bedford that we anticipate will provide relevant learning. While some businesses are taking waste reduction measures, they are not tracking these measures, as they find it difficult and time consuming to measure. All Pilot businesses are open to learning more about how they can improve waste practices in their operations, including double sided printing, switching to electronic billing and working with their vendors on less waste in packaging. There is interest among food-service pilot businesses in exploring cost-effective, environmentally friendly disposable take-out containers – perhaps on a co-op basis. We are grateful to Clean Air-Cool Planet for their support of our efforts to engage the Bedford business community in improved energy efficiency and waste/recycling practices. The grant truly was the catalyst we needed to launch this ongoing project. The Bedford 2020 Green Business Champion Pilot will continue to track results and share the learning with other local small businesses and the entire community. We are pleased to announce that B 2020 has raised additional funds to keep this initiative going. The work conducted over the summer, has positioned the task force to move into the next phase of the Green Business Champion Pilot – the Outreach phase, which focuses on marketing and PR to convey our pilot businesses’ “green stories” as a way to inspire the community and other businesses in taking green measures. Outreach will include: 1) stories in local press, 2) business to business outreach, 3) a B 2020 recognition program, 4) simple adaptation of available resources, energy efficiency programs, tips and pilot business profiles for the B 2020 website. I am so impressed and inspired after spending two days with middle and high school teens at the 4th annual Adirondack Youth Climate Summit, held at the Wild Center in Tupper Lake. Today’s youth are much more informed about climate change science (causes and effects) and fired up about making a difference than I could have imagined. When I was in grade 7, I did a geography class project on the greenhouse effect, which sparked my interest in the topic. At the time, there weren’t specialized climate change courses offered until I got to university and, even then, there were only a couple. At the Summit, one young, bright student said that her friends thought it was cool that she was going to the Summit and the fact that she was “interested in climate change.” The student pointed out to us that climate change is not just a specialized topic to study or some kind of hobby. Everyone needs to realize that it will impact (and already is impacting) all of us and we all need to be engaged and work together to make a real difference. I couldn’t have said it better myself. The 2012 Summit started off with a highly energetic presentation by Brain Stilwell from ACE. He narrated while an animated video played on the screen. It was a highly effective, entertaining, and easy to follow presentation. At the end, Brian asked us to do one thing (D.O.T. ), which is a pledge to commit to change one behavior that betters the environment. People can sign up via text or the web, which is very fast and easy for many teens to do. From this and many other presentations at the Summit, I learned a lot about data visualization and effective presentations. 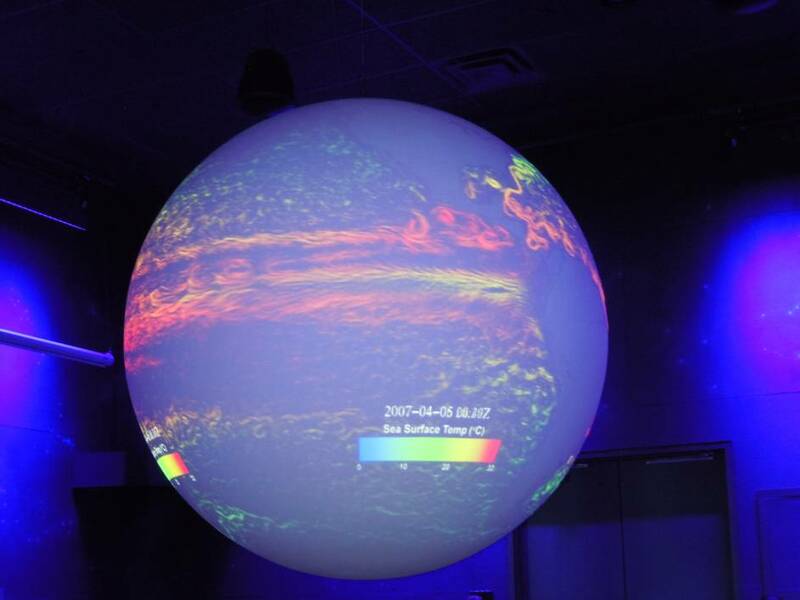 The Wild Center has an amazing NOAA/NASA 3-D globe that they can use to display different data sets. We saw melting ice caps, warming ocean currents that feed hurricanes, rising levels in local lakes that are increasing to unprecedented levels, and the projections for future temperature increases. Seeing the data on the globe change regionally and temporally in the past and future was very tangible and powerful. Ecologist Jerry Jenkins also gave a sobering plenary talk about the impacts of and solutions to climate change. He said that to solve the problem of climate change, we’ll need courage and discipline. That we’ll prevail, but there will be enormous loss. He commented that we can easily get distracted by green actions that seem great, but won’t make much of a difference, and that is why we’ll need discipline to focus. Mr. Jenkins and many others talked about the recent “violent” storms like Irene, Ike, Lee, and Sandy and how they were becoming more widespread, covering more area. What is the chance that these once a century storms would have occurred within 2 years without climate change? Possible, but slim. He pointed out that climate protection is important, but there are limits to how much we can protect. The best solution would be to make emitting carbon very expensive, but that thrift, efficiency, and eliminating petroleum are the key solutions. Investing in infrastructure will pay off in the long-term. Finally, Mr. Jenkins urged the youth to protest, but also be practical. There is also a place for bankers in the fight against climate change, but the effort and skill needs to be focused for that goal. He encouraged us to “do the numbers” and see where your emissions are coming from, which led well into my Clean Air-Cool Planet workshop on how to do a greenhouse gas inventory for your school! The hour and a half CA-CP workshop was well attended by about 10-15 people interested in completing or updating their school’s greenhouse gas inventory. I gave a very brief overview about why greenhouse gas inventories and climate action plans are important for climate change mitigation and how to do an inventory. Next, people got to play with data! They got an introduction about how to enter data into the Campus Carbon Calculator and where to view their results. People had some practical questions as well and were very interested in the new web-based Campus Carbon Calculator. Mark and Kristin Kimball really livened up the mood and got us moving – literally! From having us run laps and stretch, munch on raw honey, carrots, and rye grain from their Essex Farm, and Mark riding unicycles while juggling flame throwers, they were wildly entertaining! On a serious note, Kristin said that if sustainability is delicious, fun, and beautiful (or just 1 or 2 of these), then it will be easier and more people will want to be involved. She said that if people knew how fun farming was, we would have a hard time keeping people away from it. Kristin, herself, has committed to doing one hard action that she has trouble doing. She promised by the next Summit to have contacted her local and State representatives to ask for their vote on some climate change-related legislature and she invited us to do the same. Dominic Frongillo, a UN Youth Climate Delegate and Councilor/Deputy Town Supervisor for the Town of Caroline, reminded us about the responsibility for our actions. He was inspiring and told us about his family history and how he personally felt obligated to action. He emphasized that half the world is currently under 25 years of age and this is the generation that will “make or break” the planet. Brother Yusuf Burgess told us about his “XBOX detox” programs where he takes inner city youth and exposes them to nature so that they can feel connected to it. The Wild Center itself it a wonderful and inspirational place with lots to see. It’s an open space in the middle of a formerly degraded agricultural area, which now has native grasses, trees, and wildlife, and a reconstructed pond. 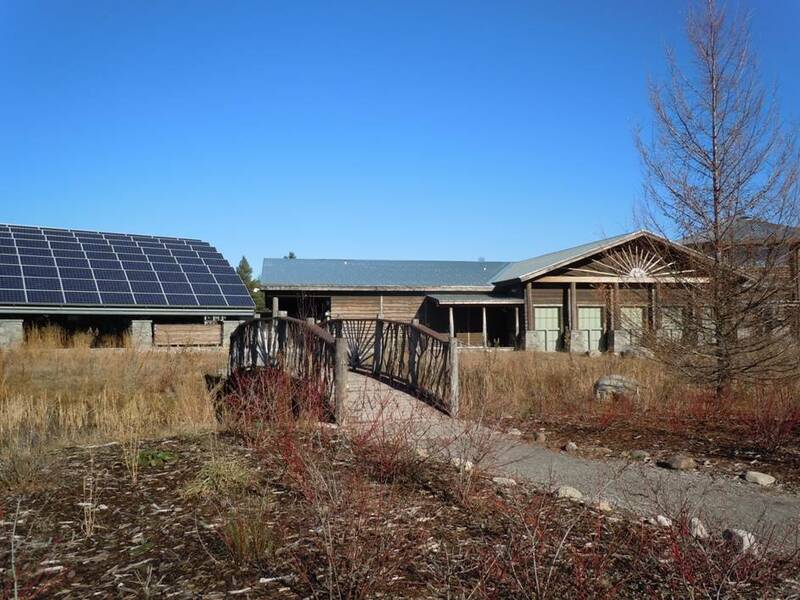 They have a green roof and solar panels on the property showing their own commitment to sustainability. The indoor exhibits invite the visitor to interact while he/she is learning about native flora and fauna. It was the perfect setting for the Adirondack Youth Climate Summit. Blog at WordPress.com. Theme: Sapphire.